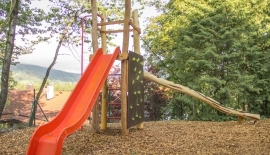 Our playground equipment is available in a vast variety of creative elements for all ages, from small children to teenagers. 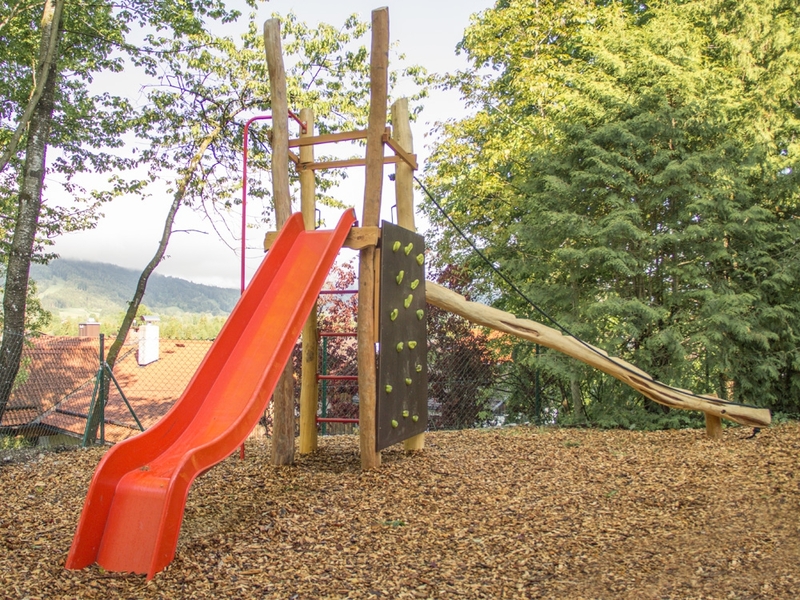 As we do with all our products, we go to great lengths to ensure that the materials used are of high quality and child-friendly and that the equipment meets the highest safety standards. 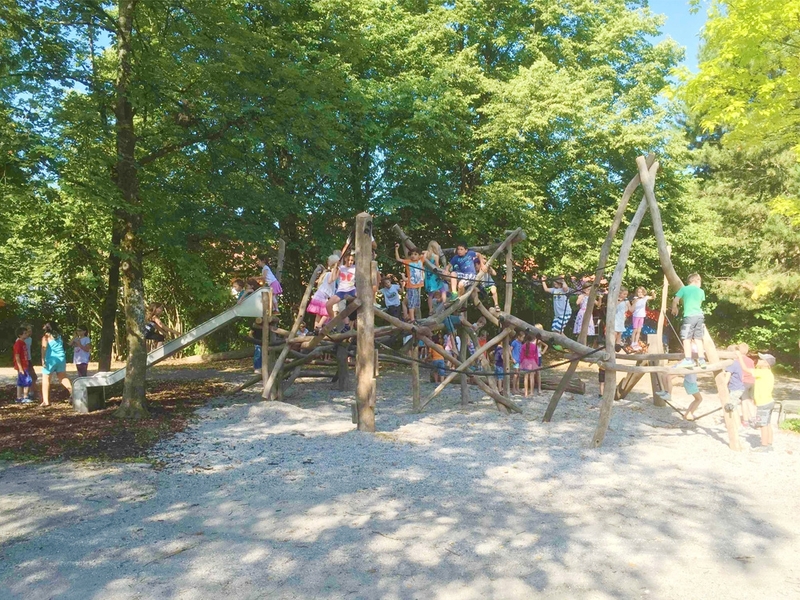 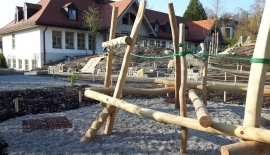 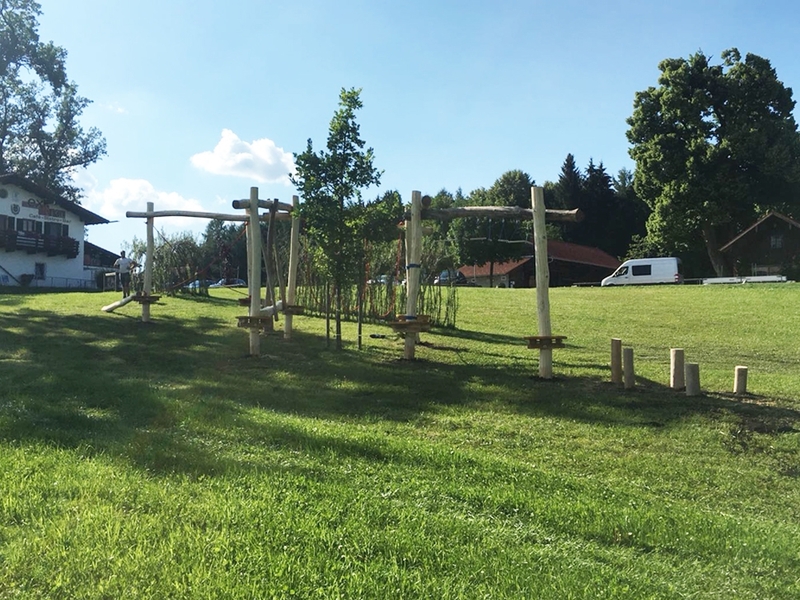 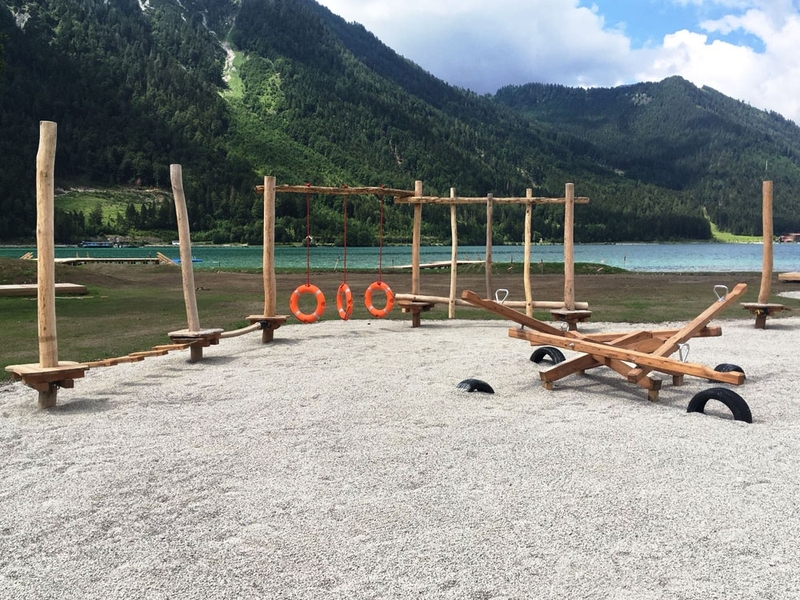 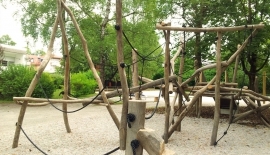 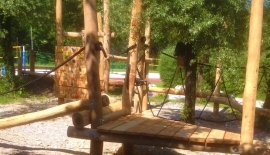 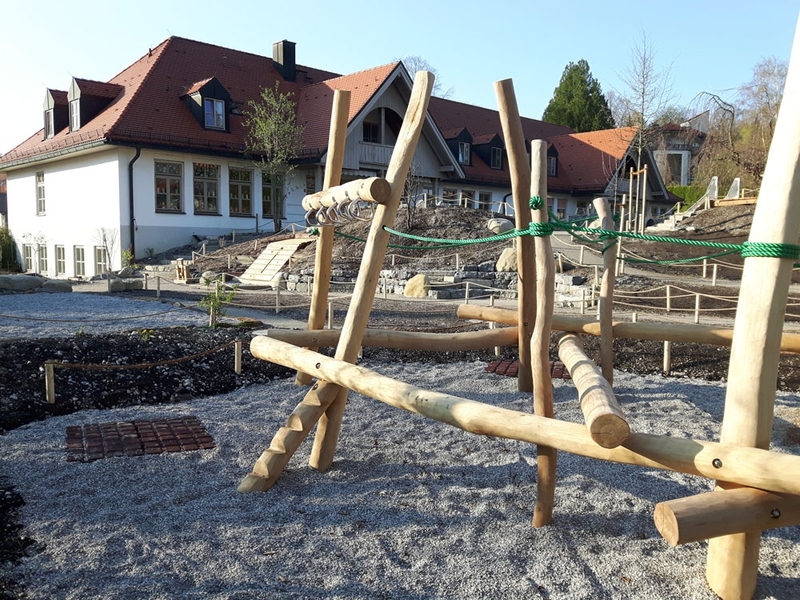 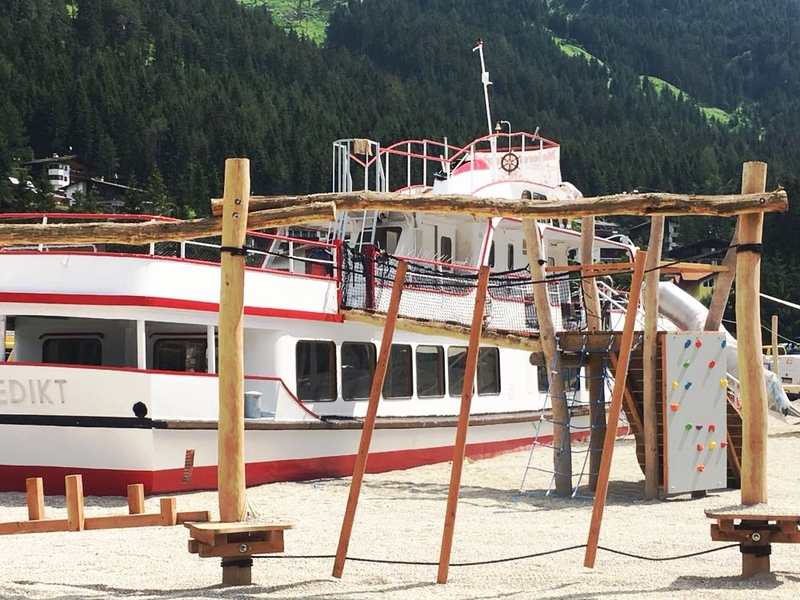 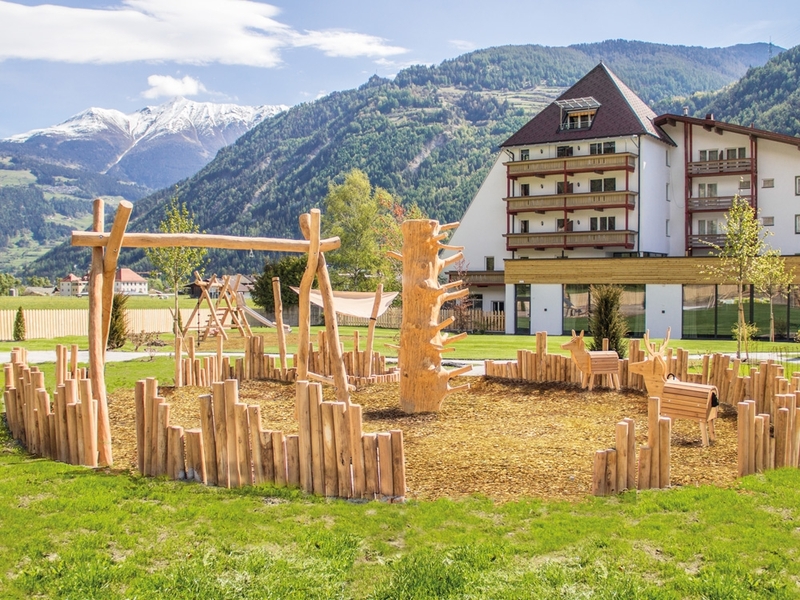 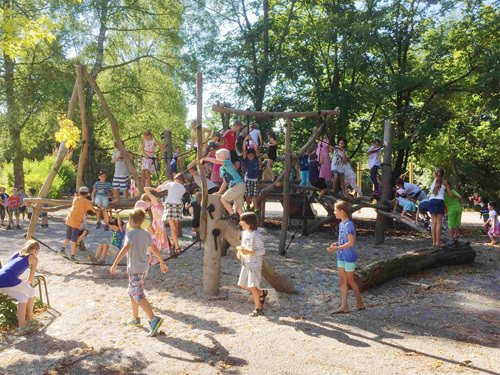 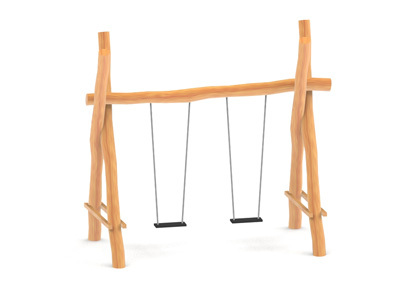 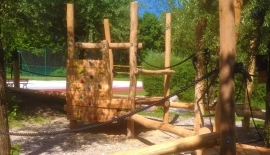 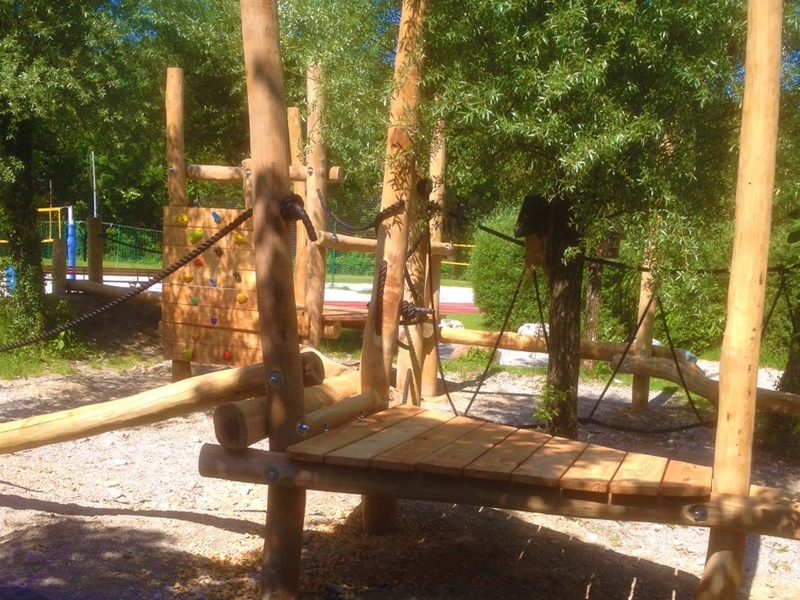 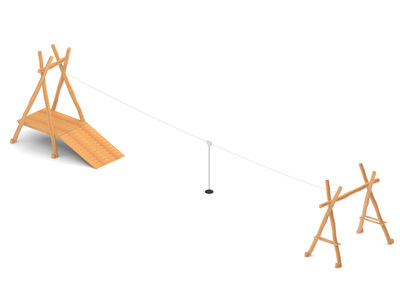 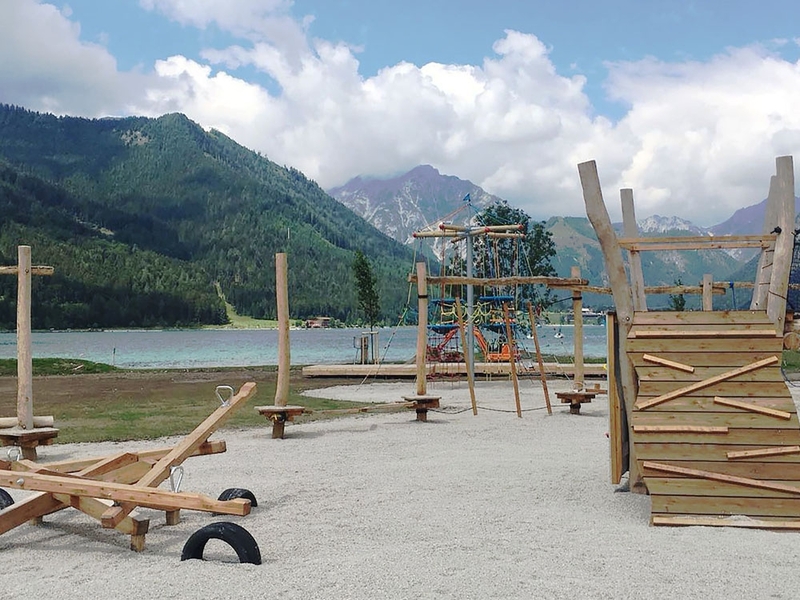 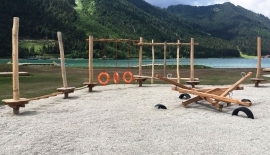 Our playground equipment mainly consists of natural materials like Robinia or Larch wood, in combination with steel and UV-resistant Polyester rope and Hercules rope. 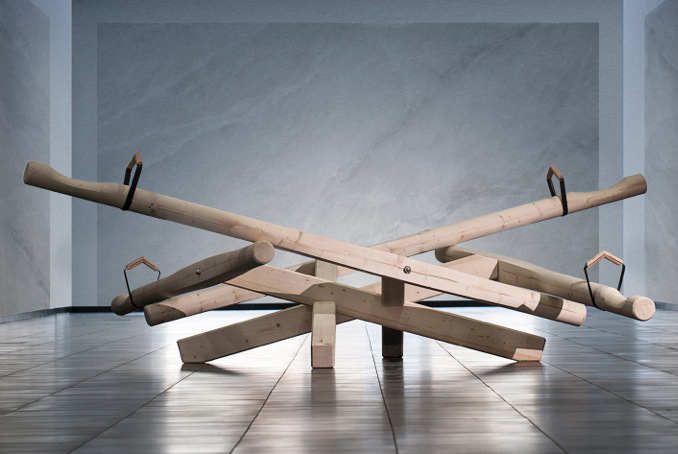 We plan and build our elements according to the European standard EN 1176. 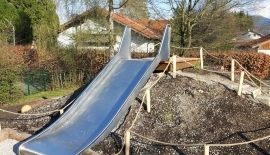 So they fit all requirements for public playgrounds. 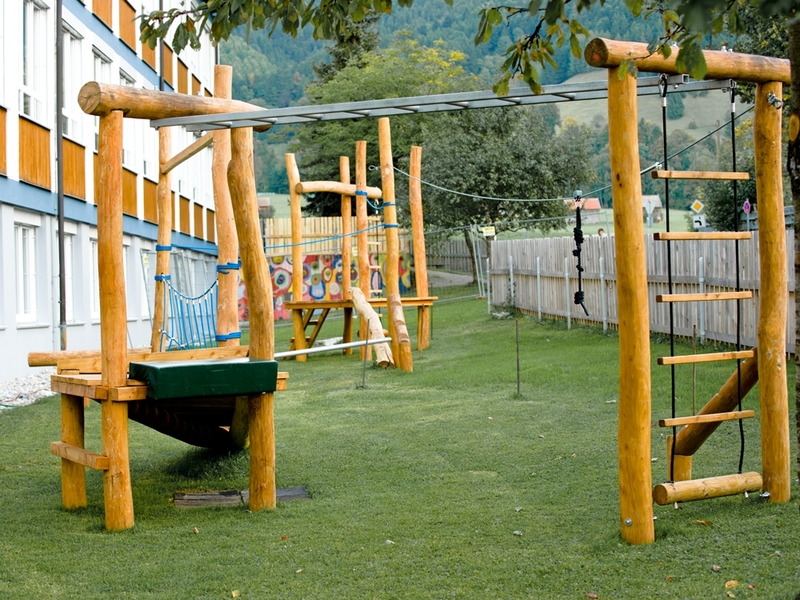 A variety of leisure facilities, such as restaurants, swimming pools, parks, schools and kindergartens benefit from children‘s playgrounds. 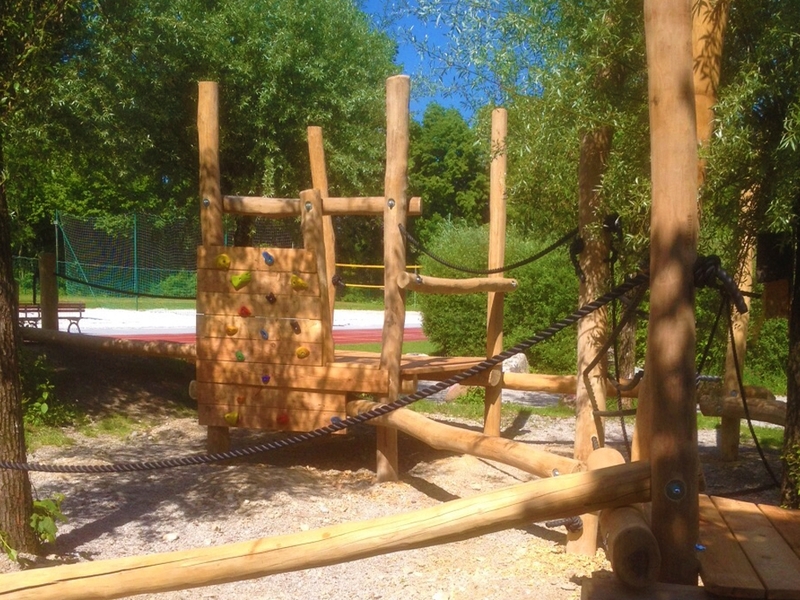 Our Adventure Trail is an outstanding playing park. 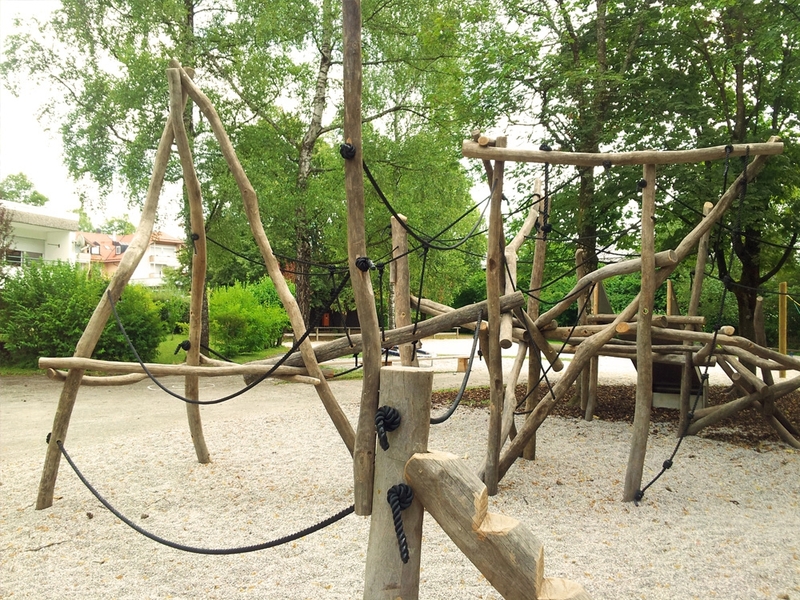 Bouldering walls fit playgrounds perfectly. 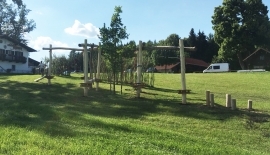 Fitness courses near a playground extend the offer to a wider range of users. 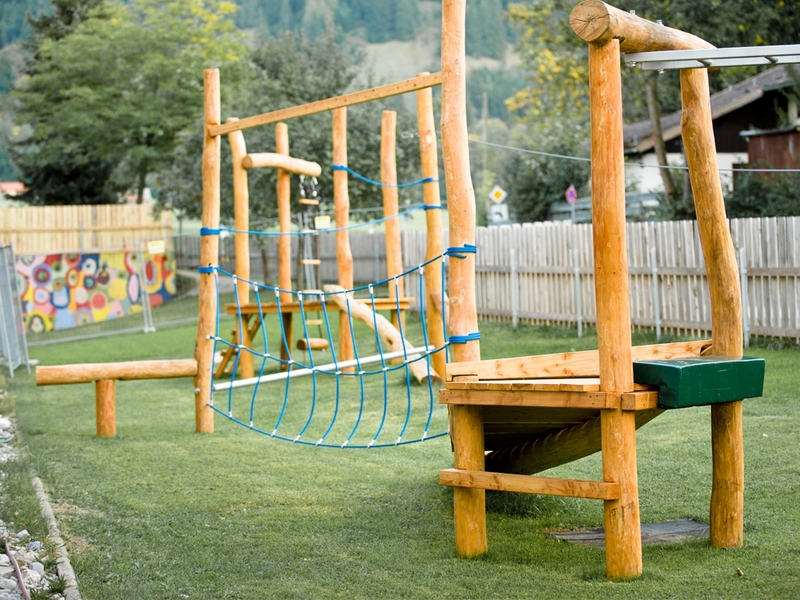 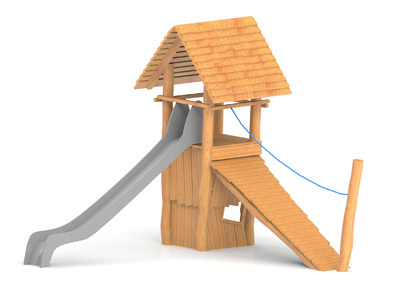 Play houses, rope games or climbing towers - our creative staff plan every playground and every equipment individually in close consultation with the customer. 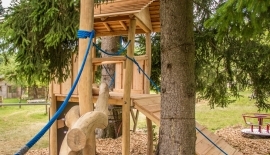 This is the only way to design a creative play area, which takes the needs of the little and big visitors into account as well as the given site conditions. 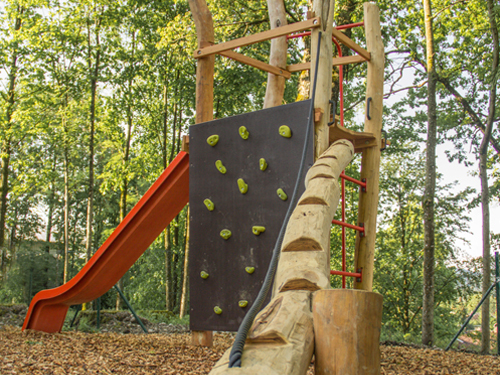 Usually we try to adapt elements from our high ropes courses as playing equipment to encourage children to diverse movements. 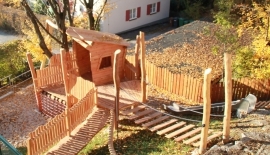 So every time new and extraordinary compositions emerge, that make your playground outstanding. 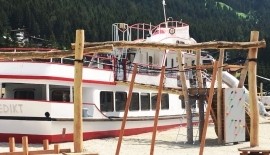 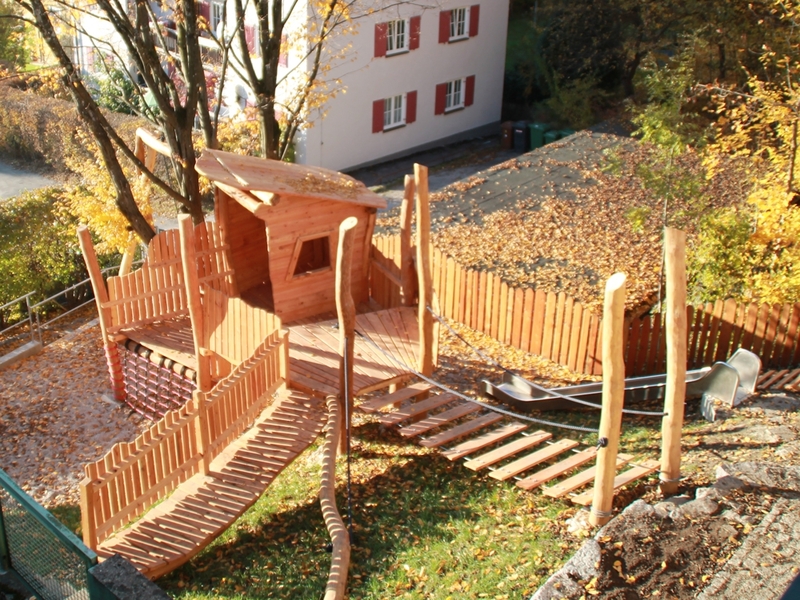 On demand, we design play areas for different themes like pirates ship, forest or fairy tales. 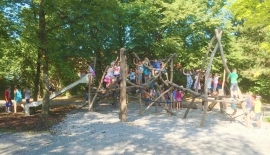 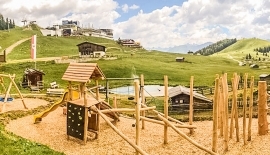 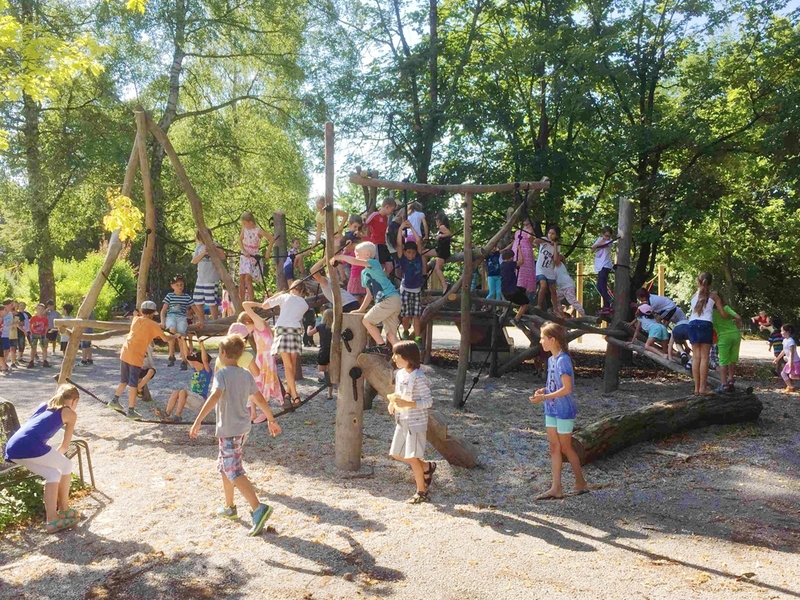 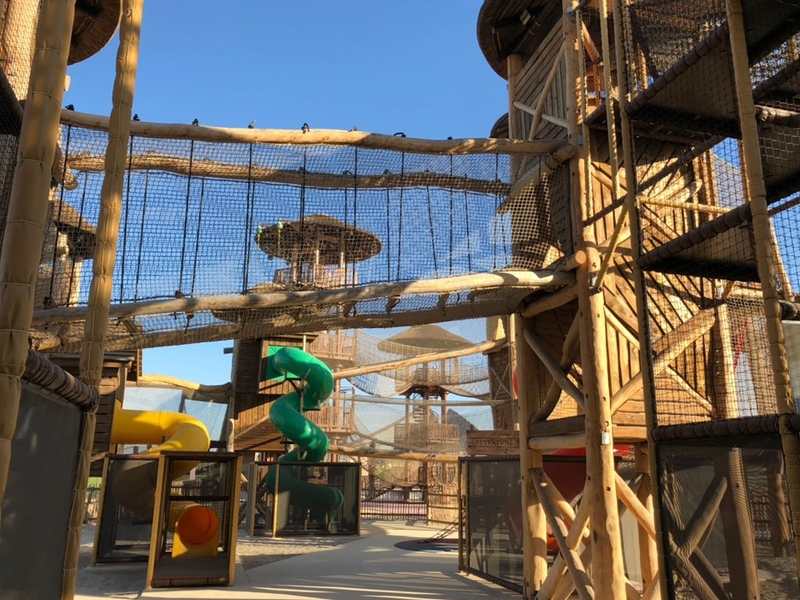 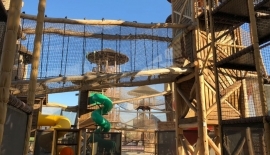 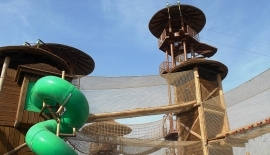 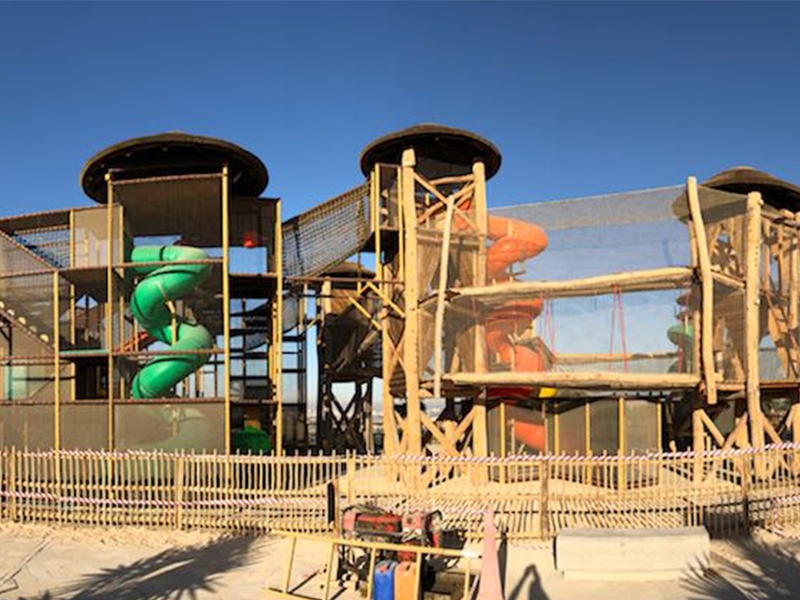 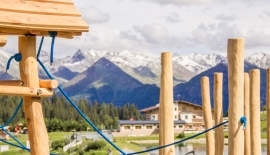 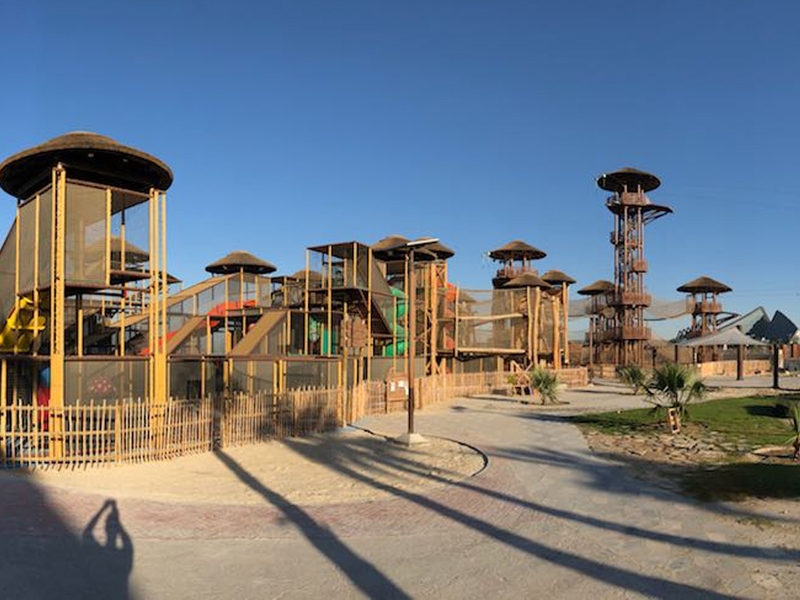 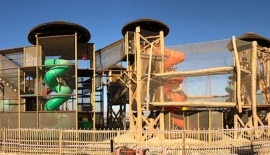 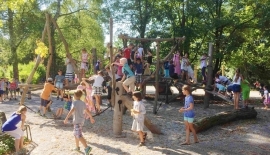 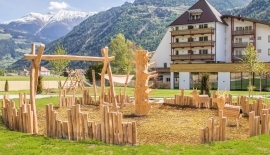 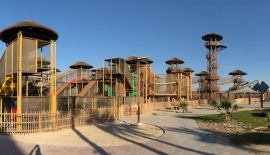 New compositions are constantly being created, such as a water playground, a ball track or a large adventure playground with climbing towers up to 9 meters high, which are connected by various balance elements and inspire every child. 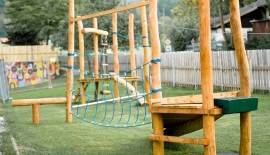 According to the European standard for playgrounds EN 1176, playgrounds must be subject to an annual inspection by a certified playground auditor. 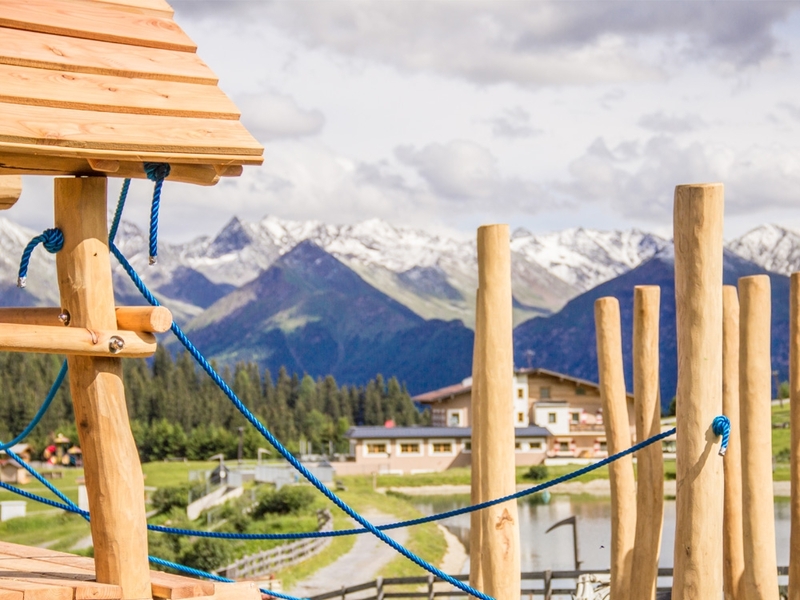 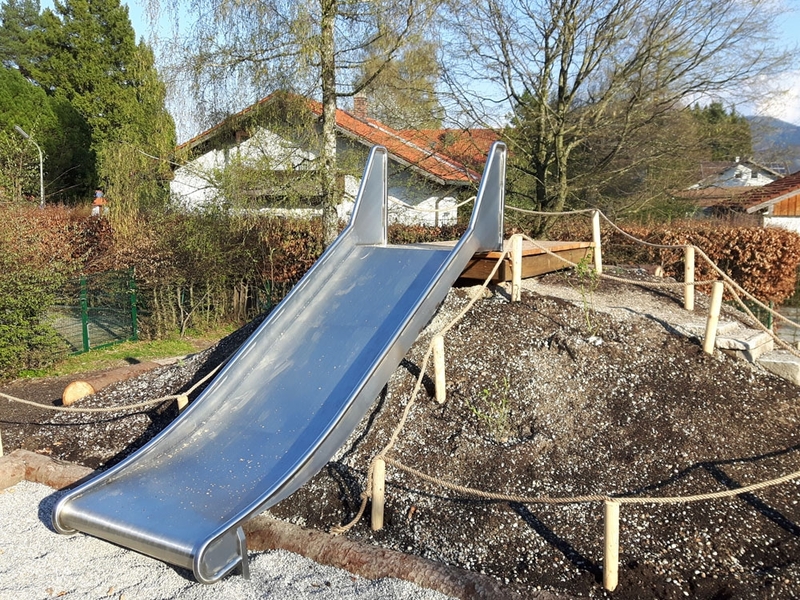 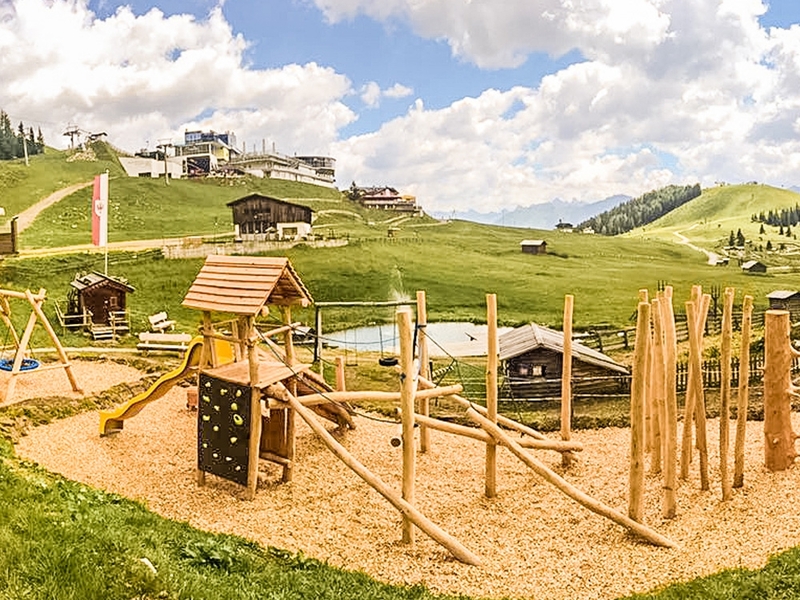 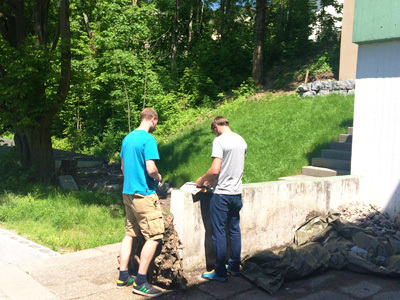 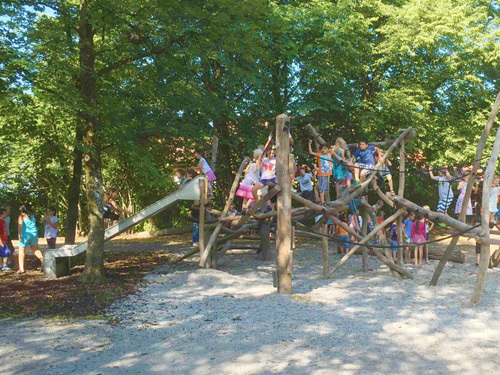 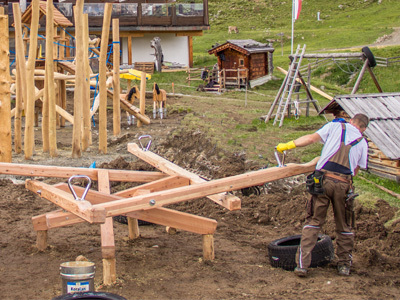 KristallTurm® employs TÜV-certified playground auditors, who are entitled to undertake such an annual inspection. 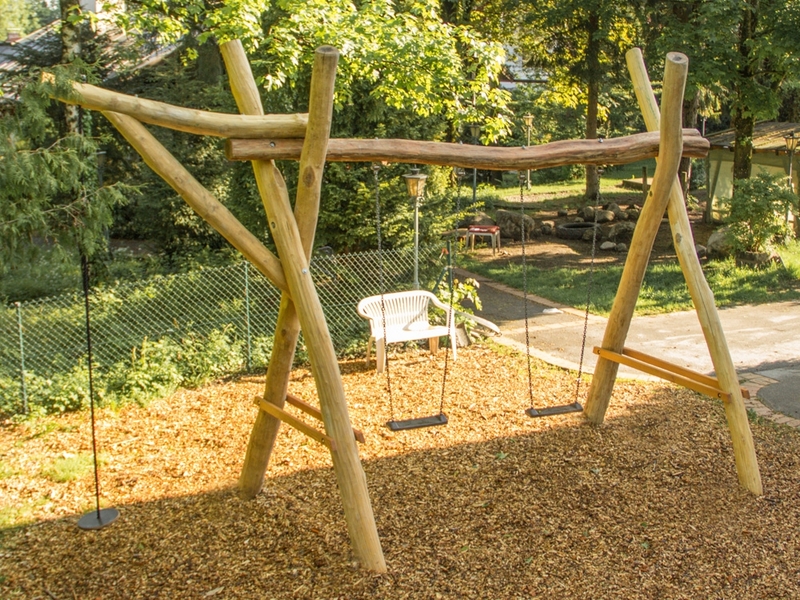 The wood of the robinia has an extremely high resistance against dry rot and owns enormous strength properties, which are significantly higher than those of the oak tree. 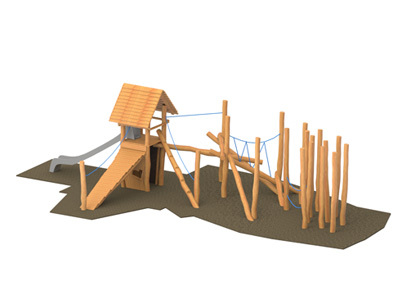 The wood is heavy and hard, hard to split, viscous and elastic, easy to bend and very impermeable to liquids. 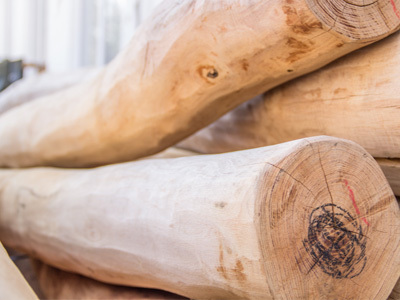 Robin wood guarantees best conditions even after years of use. 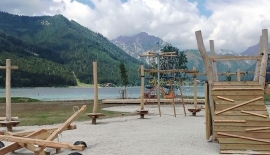 Larch wood is the heaviest and hardest european pinewood, which is used as timber wood. 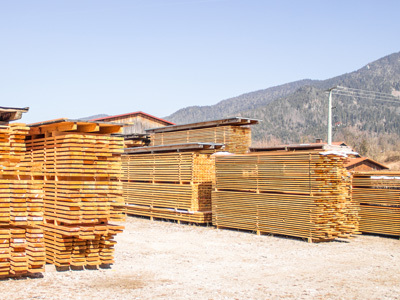 Due to the high resin content, larch wood is particularly resistant against water and rot. 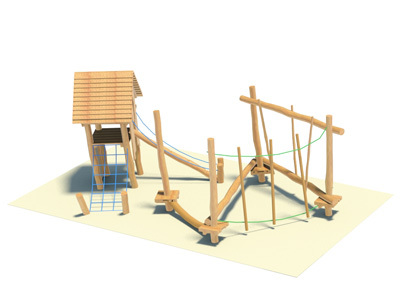 The seesaw Ensemble is a inovative designer seesaw for 2 or 4 persons, who can use the game simultaneously. 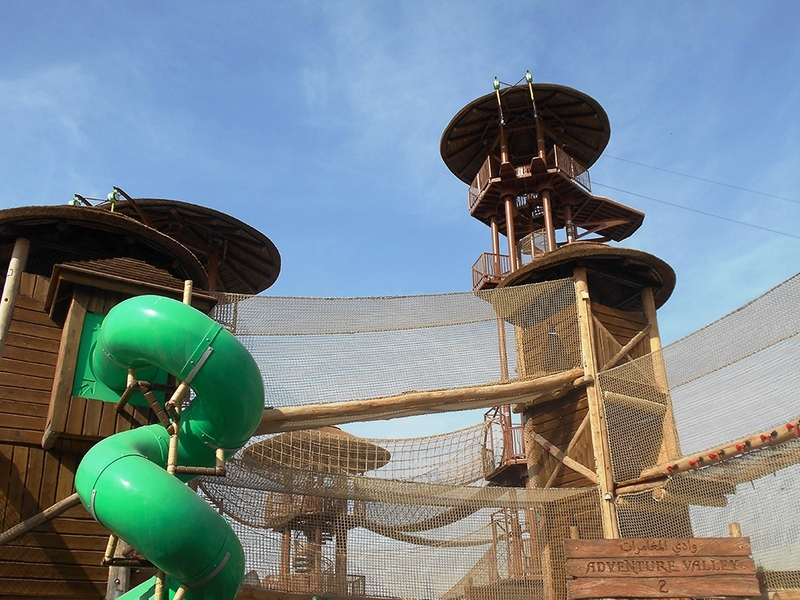 Through its extraordinary design it trains balance and team work. 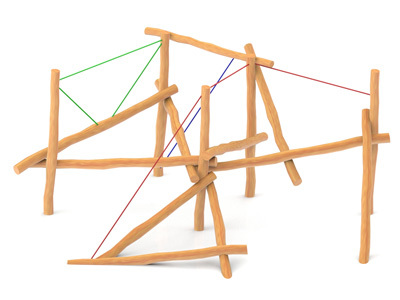 The four arms intertwin in a way that always two diagonal arms are in the air. 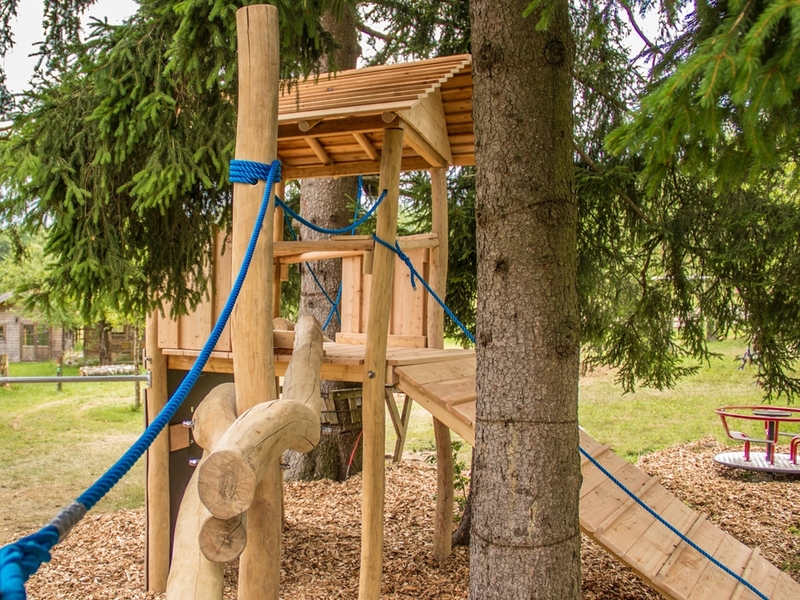 Our wooden animals perfectly supplement with playgrounds. 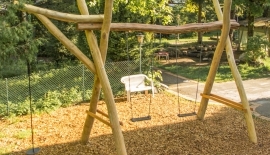 They are an ideal seat for children and parents. 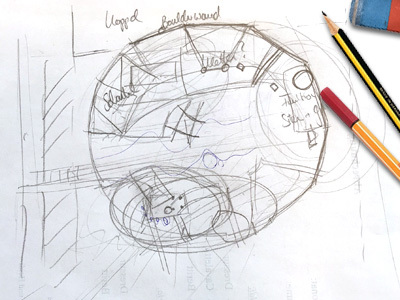 Depending on the theme we can design other animals to depict for example the African desert or a European farm. 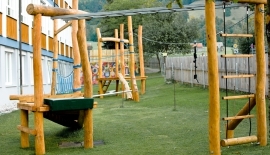 Small children especially like horses but other variants like deer, donkey or zebra can inspire.